This simple task lamp by Dreipuls is made in anodized aluminum and can be controlled by moving rings that are placed across the lamp. The system is as easy to use as if moving a curtain. 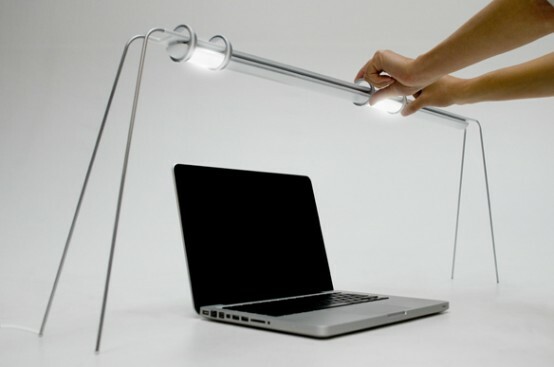 Users can simply shift the light into the desired area without having to move the entire lamp. They can even create two separate lighting areas at once. To turn it off, simply move back all the rings. Very innovative design concept.